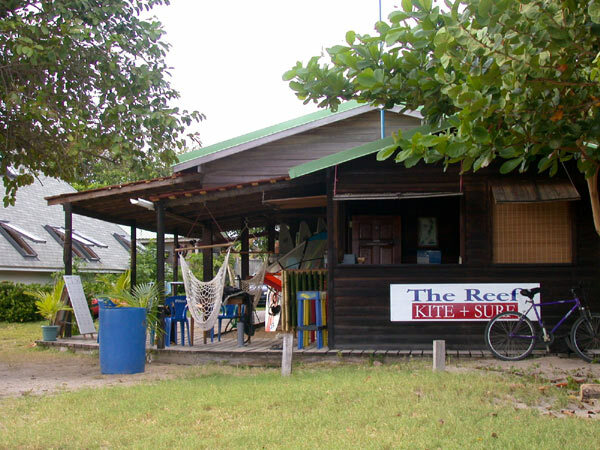 The Reef Kite + Surf center is located on Sandy Beach – St Lucia’s best kitesurfing beach on the south-east coast of the island – close to the town of Vieux Fort. The bay is unspoilt and uncrowded … every kitesurfer’s dream. Our kitesurfing school offers lessons to suit all levels and abilities, so whatever your goals might be – from simply learning how to pilot a kite to pulling off advanced tricks – the instructors at The Reef can guide you every step of the way. Additionally, an integral part of our lesson structure is a focus on teaching you to become an independent rider with the skills, knowledge and ability to handle situations that may arise once you start kiting on your own in other locations. 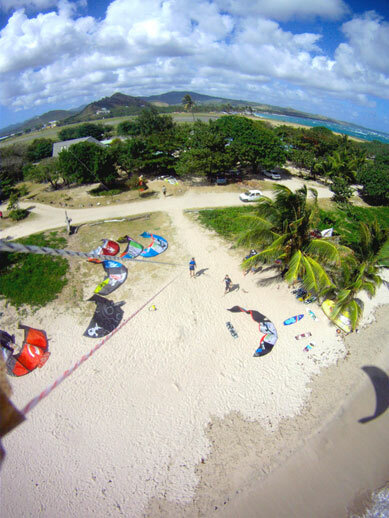 You will be taught using high quality Cabrinha kites and equipment. When taking lessons, we provide all necessary equipment and safety gear. You will need to bring along your swimwear – sun cream and sunglasses are recommended (or they can be purchased in our shop). Kitesurfing is a sport which you can learn really quickly, because all the maneuvers can be simulated on dry land. It may look like a sport for top athletes, but in fact it’s easy to learn for anyone with average ability. Of course, if you’re already a windsurfer or wakeboarder or do any of the other board sports, then you’ll take to kitesurfing even more readily – but it’s not necessary to have any previous experience. 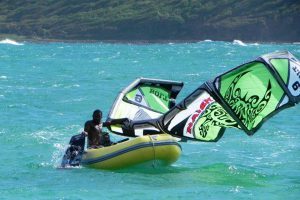 We also offer kitesurfing equipment rental and have facilities for independent kiters wishing to use their own equipment. One popular option is our KiteEazy package which offers a nice bundle of services and goodies which you can read about here.